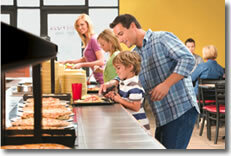 An endless pizza, pasta, salad and dessert buffet delivering unbelievable value. Where the first word you hear is "hello" and the last is "thanks". Where the pizza's always fresh and the desserts are tempting. Where seconds are OK and thirds are no problem. And where making guests happy is just the first step on the road to making them friends. CiCi's is an unbelievable opportunity for passionate entrepreneurs who are looking to build their own business and take control of their financial futures. Entrepreneur Magazine ranked CiCi's as the top brand in the Italian restaurant franchise category & the Wall Street Journal's Guide for Entrepreneurs ranked CiCi's as one of the top 25 highest performing Brands in the nation. Join the CiCi's Family & you'll have access to state of the art systems and people to help you realize your full potential as a CiCi's Franchisee. At 650+ stores, CiCi's size & scale provides the system with great buying power that keeps costs low and enables National TV and Radio Advertising. But it's also small enough to provide Franchisees hands-on guidance in site selection, store Operations/Training & local store marketing. 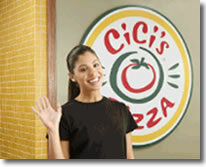 The company is focusing on growing in the markets currently being served and beyond.CiCi's restaurants are currently operating in 31 states: Arizona, Alabama, Arkansas, Colorado, Delaware, Florida, Georgia, Illinois, Indiana, Iowa, Kansas, Kentucky, Louisiana, Maryland, Michigan, Minnesota, Missouri, Mississippi, Nebraska, North Carolina, New Mexico, Ohio, Oklahoma, Pennsylvania, South Carolina, South Dakota, Tennessee, Texas, Virginia and West Virginia. So what are you waiting for? There are franchise opportunities available now! Please note this franchise is not accepting inquires from outside the United States. All interested parties should have at least 30% equity to invest. 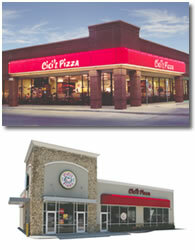 Click on Request Information button above for FREE information on how to start a CiCis Pizza Buffet franchise today! Please Note: CiCis Pizza Buffet franchises for sale, and other franchise opportunities, business opportunities, businesses and franchises for sale on this web site are not to be considered as an "offering", "franchise offering", suggestion or recommendation by GlobalBX. The franchises, businesses and business brokers seen on this web site submit their own individual content. This advertisement depends entirely on the truthfulness of the information provided by our advertisers which includes, but is not limited to, franchisers, franchises, franchise brokers, franchise consultants, business sellers and business brokers. As always, GlobalBX recommends that you consult a lawyer, financial consultant, accountant or professional advisor before buying a franchise or business opportunity or any type of business. By submitting this form and requesting more information, you have agreed to all terms and policies of GlobalBX and the business and franchise offerings listed here. Please review our Terms & Conditions for more information.